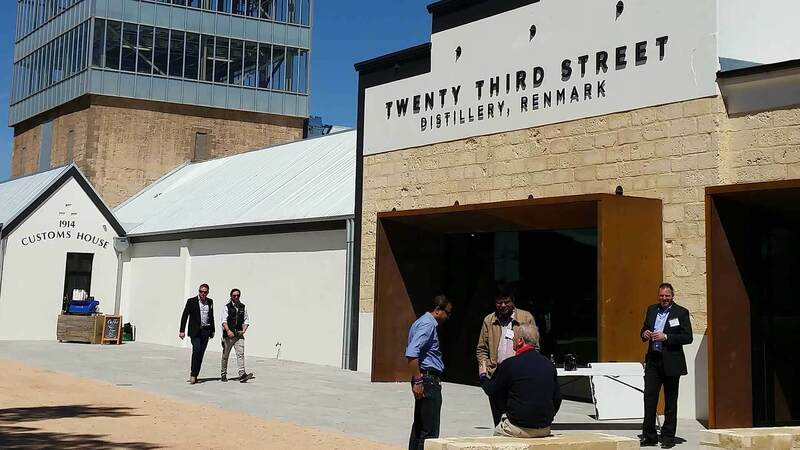 Opened in late 2016, the 23rd St Distillery brings new life to the Historic Renmano Winery of Renmark. The rich history of the site has been creatively blended with new age technology and architecture to deliver an open and earthy visitor centre and distilling facility. Century old copper stills can be seen on a tour of the facility along with the barrel hall where an Australian icon, Black Bottle Brandy, is held for ageing. The reinvented site also distills gin, brandy, whiskey and vodka which can all be tasted in the visitor centre. Local ingredients are the inspiration behind the flavours and the 23rd Street Brand. Guests of The Frames receive a complimentary tour and tasting (valued at $50 per couple). 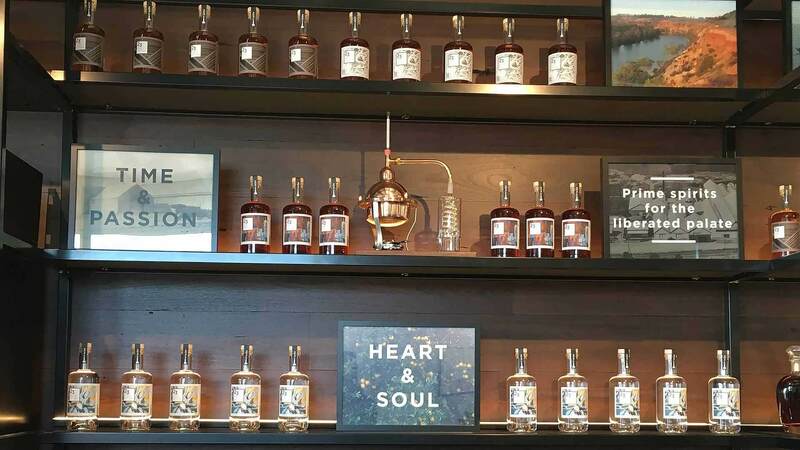 Read More About The 23rd Distillery Experience On Our Blog. 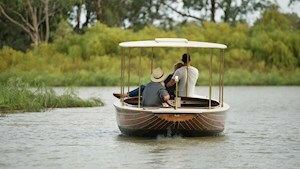 Our Wetland & Wildlife Cruise is a privately guided river cruise in our customised dinghy through the creeks and wetlands of the Murray River. 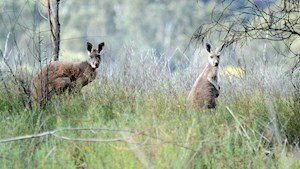 Encounter diverse wildlife and birds of the region. Experience a romantic sunset gondola cruise with sparkling wine and a cheese platter, exclusively for you, in our beautifully restored 100 year old classic wooden boat. 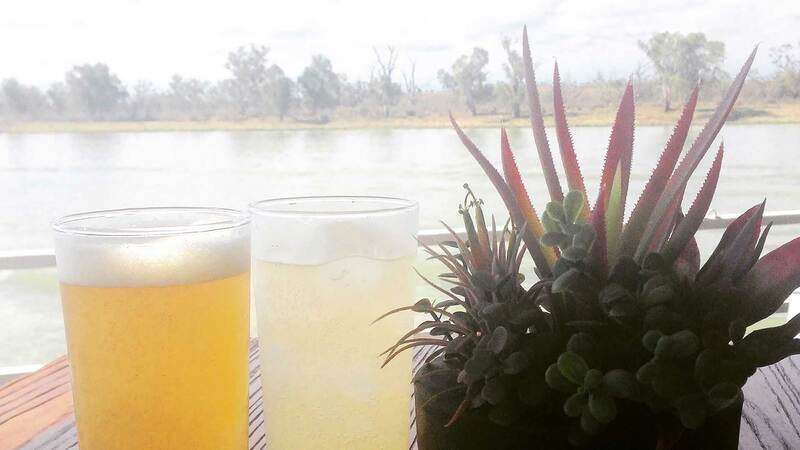 From dirt to the dish, discover the diversity of production in the Riverland. 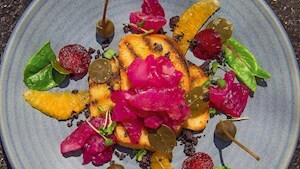 Labelled the ‘food bowl of South Australia’, you will taste, smell and learn about the many different products grown and produced locally. 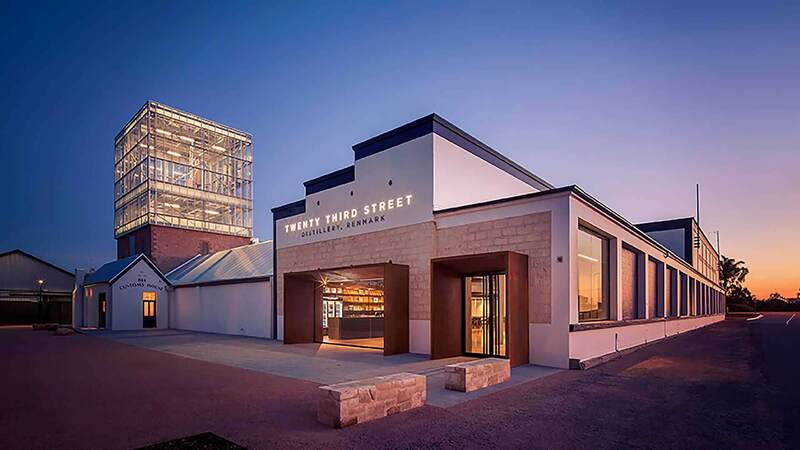 Opened in late 2016, the 23rd St Distillery brings new life to the Historic Renmano Winery of Renmark. 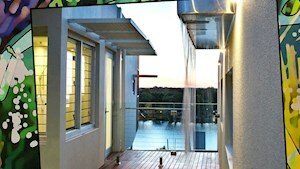 The rich history of the site has been creatively blended with new age technology and architecture. 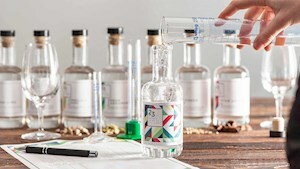 Let your senses lead the way as you explore the taste profiles of 23rd Street Distillery’s botanical distillates to create your own exclusive signature blend of gin with a private masterclass. 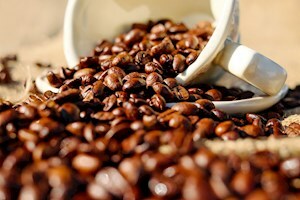 Arrosto Coffee have been the source of locally roasted coffee beans for some time, their ground beans and coffee pods are stocked in your villa to help you make great coffee during your stay. 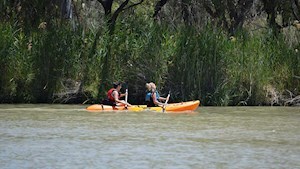 Providing guided canoe tours or canoe hire, explore the Woolenook Wetlands, an intricate creek system included in the internationally regocnised Riverland Ramsar Site. 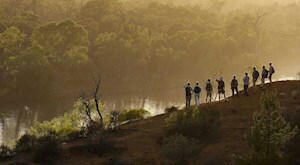 Explore South Australia's Murray River with the latest Great Walk of Australia, Murray River Walk. Over 4 days and 3 nights you will find yourself completely immersed in the stories of the Riverland and the environment surrounding you. 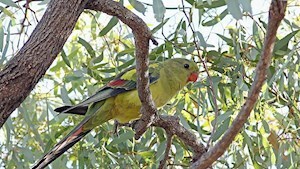 The Riverland has many National Parks and conservation reserves which are alive with waterbirds and wildlife. They also provide some of the best river front picnic areas imaginable. The Riverland is South Australia’s largest grape growing region, producing almost half a million tonnes of grapes each year. Our hot and dry climate is seeing a new era of wine varieties emerging from boutique wine makers. The Frames have partnered with iconic Barossa Winery, Seppeltsfield, to provide a brand new exclusive experience for guests. The Barossa is located approximately halfway between Adelaide and the Riverland. 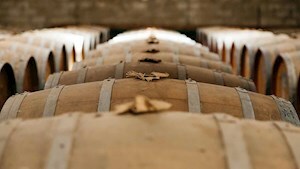 Established in 1910, the Angove Family Winemaker's Renmark winery and distillery was the Riverland's first winery and where the St Agnes Brandy story begun. The Woolshed Brewery is located in a 100 year old shearing shed at Wilkadene Station, located only 20 kilometres north of The Frames. 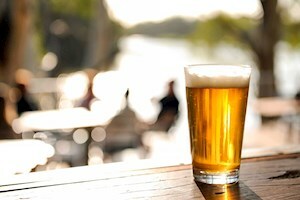 The Woolshed's first brew day was in August 2009. 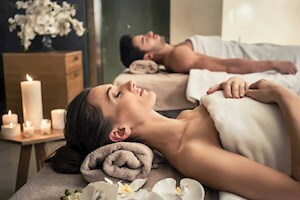 Give yourself some extra attention and indulge in one of our Wellness Treatments – in-house, personalised to your specific needs and amidst the tranquil sounds and surrounds of the Murray River. If you’re looking for a romantic getaway at a luxury retreat, The Frames is the ideal place. Yes! Subscribe me to your newsletter. © 2019 The Frames Luxury in the Riverland - The Cooltong Experience.